I was planning to do a 'packing by numbers' post today to share some of the frankly astonishing figures that have come out of our big collections packing project. I decided this could wait for the time being, though, as I was really taken by a little set of images I came across while doing some research into the origins of the museum - so here's the story behind them. 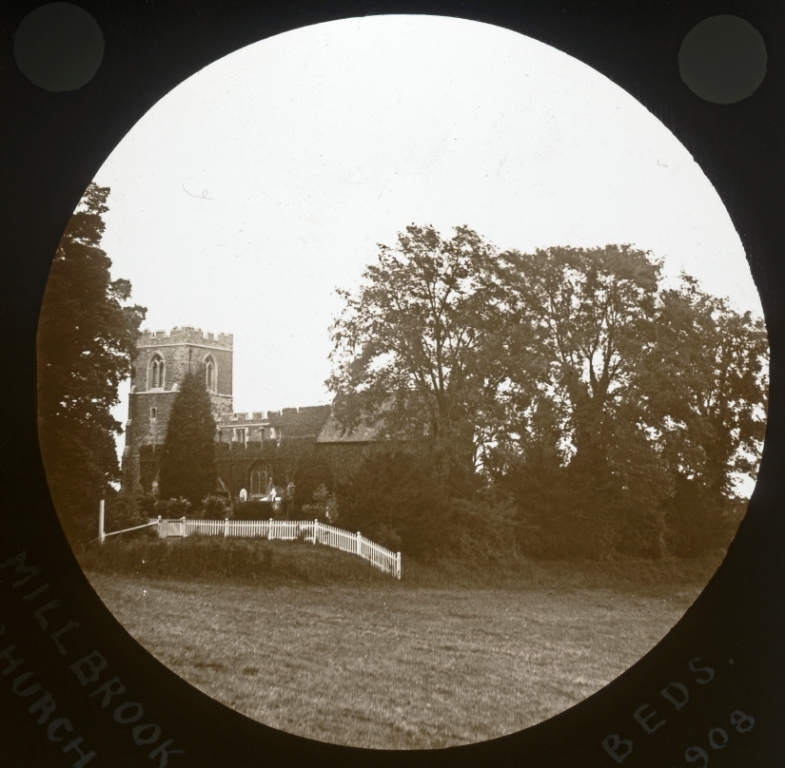 Back in April 1919, Percy George 'Piggie' Langdon, a teacher at Bedford Modern School and curator of the school museum, got together a group of boys who were interested in archaeology to investigate a mystery surrounding the churchyard in Millbrook, Bedfordshire. According to local rumour over the previous 60 or 70 years, two effigies had been removed from an altar tomb in the chancel "because strange sounds proceeded from them". It was said that the effigies had been taken to the rectory cellar before being buried in the churchyard - where presumably the strange noises stopped! Undeterred by the ghostly stories, Langdon got permission to excavate in the south-east corner of the churchyard. 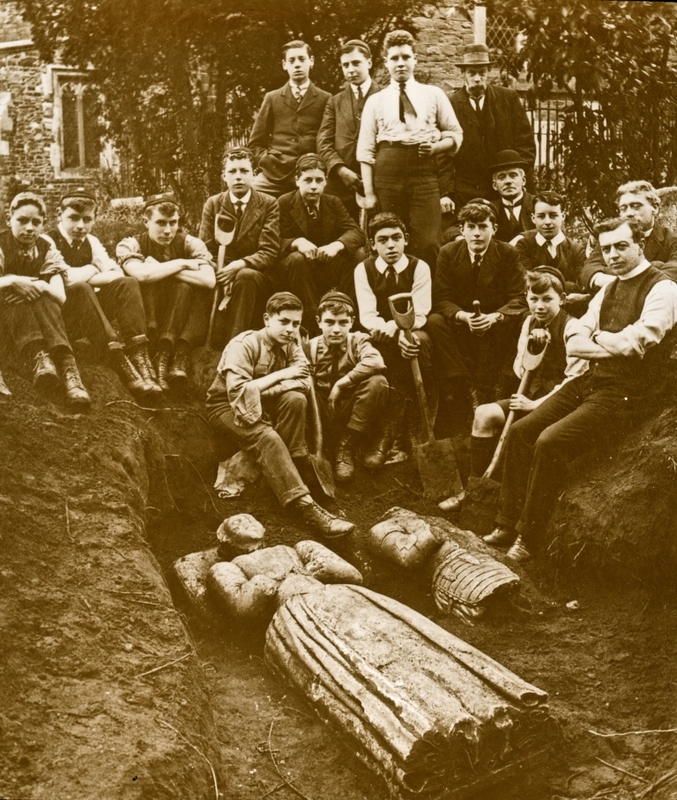 After three days digging, during which, if the photographs are anything to go by, the poor boys had to remain in their school uniforms, portions of the smashed tomb were discovered along with the broken remains of the effigies. The boys digging - uniform must be worn at all times! The effigies, which commemorated William and Mary Huett (the latter of whom died in June 1602), were re-set into the chancel of the church. 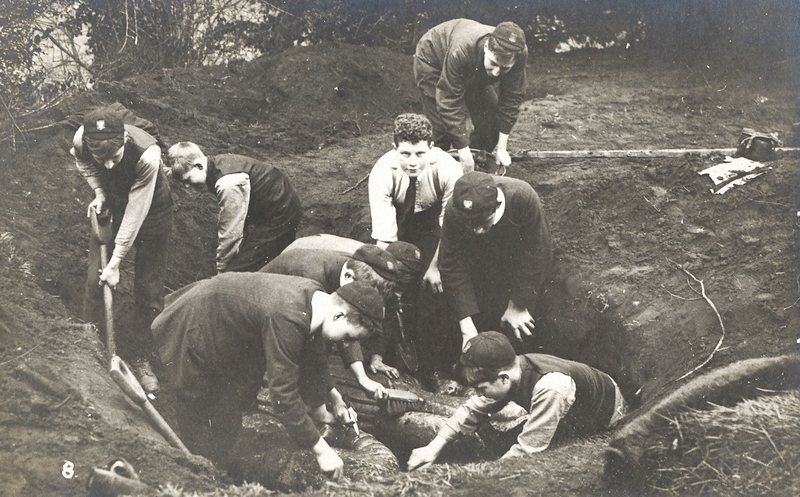 The success of the excavation attracted local and national press and helped to make a name for what became the Bedford Modern School Archaeological Society. The Society went on to help Langdon reorganise the school museum displays, ridding it of much "junk" along the way, including "moulting birds and a moth-eaten stuffed lion". It's nice to think that, all these years later, the museum is still helping to get children involved in archaeology. In a couple of weeks time, at The Making of Bedford event in Bedford's Priory Country Park, children from Saturday Archaeology Workshops (SAW), which is run by the museum and Albion Archaeology, will be displaying the results of some on-site test pit excavations.